Stars at Mad Men season premiere Jump to media player Cast members, including Jon Hamm who plays Don Draper, were out in force at the US premiere of the fourth season of Mad Men. The series starts in July and will be heading to UK screens later in the year. 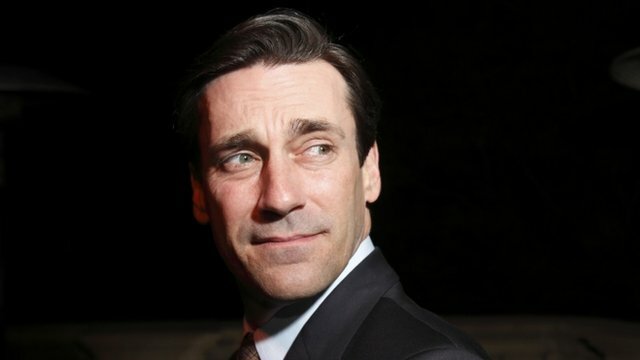 What will be next for Mad Men? Jump to media player Front Row's John Wilson speaks to actor Jon Hamm, about what is in store for Don Draper in the fifth season of Mad Men. Don Draper's pitch for an advertising campaign in the TV series Mad Men has been brought to life. Heinz has released three ads, exactly as shown in the 1960's-set programme.